In the course of the journalist investigation of the case of Jamshid Mukhtorov, arrested in the U.S upon terrorist charges, Fergana learned of another refugee from Uzbekistan, formerly a high ranking police officer in Jizak, who had been granted political asylum in the United States at about the same time as Jamshid. This phenomenon has been discovered some time ago. Back in 2007, a famous human right defender Talib Yakubov wrote the following in his article: “Both persecuted and persecutors flee from Uzbekistan. A high ranking police officer Zoir Sharipov, formerly in charge of the counterterrorism activities in the Jizak regional department of police, responsible for torturing dozens if not hundreds of people, has successfully settled down in New York as a result of events in Andizhan. It’ a mystery how he managed to enter the United States and obtain the political asylum”. The connection between these two persons raises many questions and may be of interest for American investigators. As one recalls, Jamshid Mukhtorov was arrested in the U.S. upon charges of terrorism: sponsoring a terrorist organization “Union of Islamic Jihad” and intending to take part in an act of terrorism. Previously, this citizen of Uzbekistan used to be the head of a regional branch of a human right organization “Ezgulik” in Jizak, who had left for the United States in 2006 and had a status of a political refugee. His friends say that he used to have a close relationship with lieutenant colonel Zoir Sharipov, the head of the counter-terrorism department in the Jizak regional police, who overlooked Jamshid’s activities and even rendered certain services: “They had very close relationship of trust. Jamshid used to visit colonel Sharipov in his office. Once, Zoir Sharipov actually saved Jamshid from a criminal prosecution, using his connections, when Mukhtorov had been accused of illegal production of vodka at his home”. Our source continues to say that Jamshid Mukhtorov had often publicly boasted of having a close friend in the police counter-terrorism department. Lieutenant colonel Zoir Sharipov was last seen in Jizak in December 2005. In January 2006, he left the country and moved to the United States whereupon he was granted the status of a refugee. 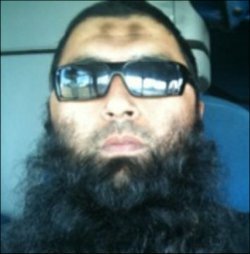 He is currently said to be a cab-driver in New York. Most likely, both Jamshid Mukhtorov and Zoir Sharipov had obtained their refugee status in the United States in absence of any serious grounds, and based on fabricated evidence. This fact also gives a reason to suspect that both of them might be involved into an operation plotted by Uzbekistan’s special services. We are strongly hopeful this information would be of interest for the American authorities.